Note: When messaging more than one applicant, recipients will never see the names or email addresses of other applicants being contacted. 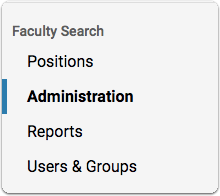 To email a group of applicants, it is best to do so from the Applications page. Note: Selecting "Applicants" at the top of the table will select all applicants in the list. 1. 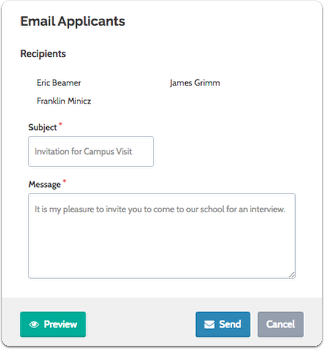 Click the applicant's name to open their "Applicant Profile"
See here for more information on creating message templates.